As featured in …The Telegraph! 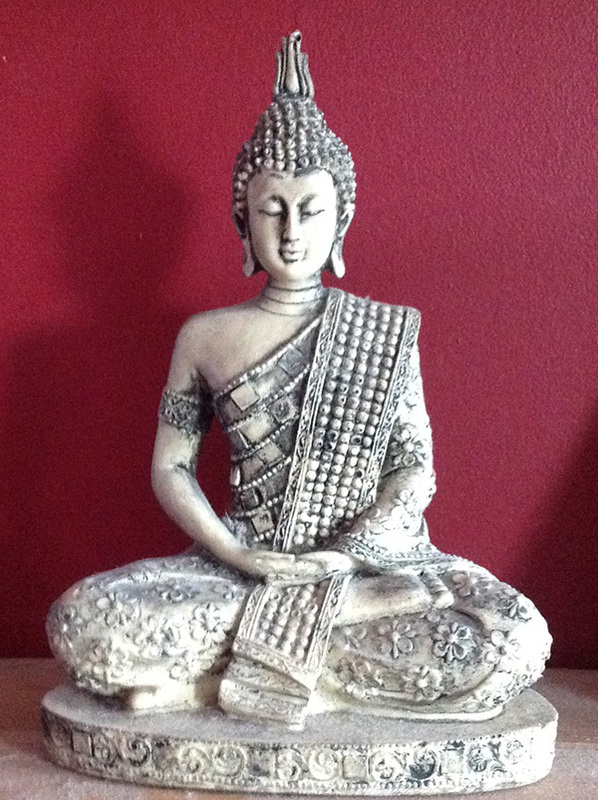 Want to read more about Silence? The Art of Silence – out now! 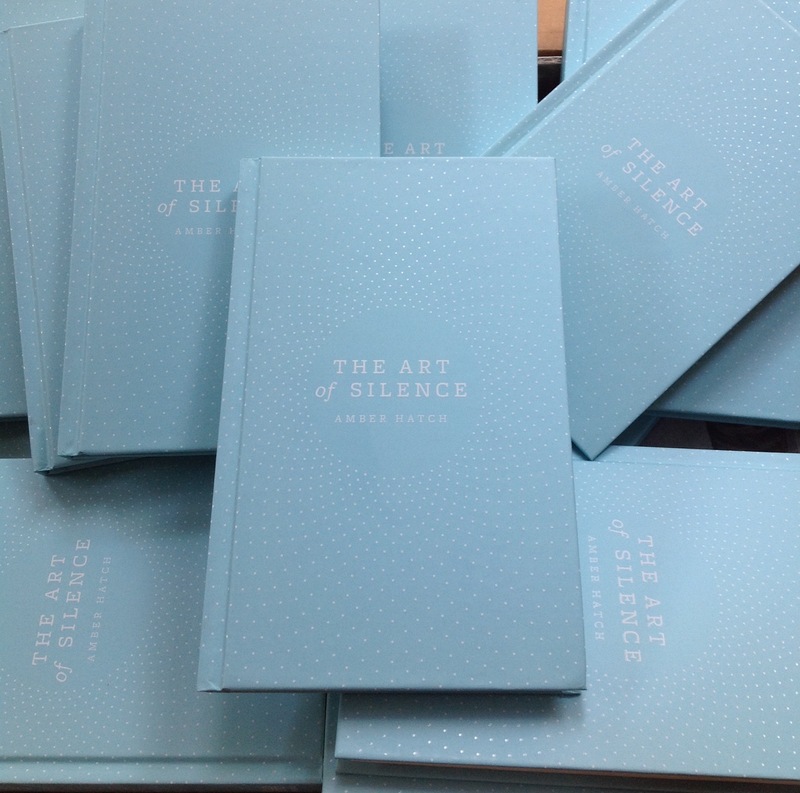 My latest book The Art of Silence (Piaktus) is now available to buy in all good bookshops. Available in hardback at £9.99 rrp. No! Not at all. Do what works best for you. Many parents may prefer to keep their baby in nappies, at least at first, to avoid stress and pressure. This may be particularly true whilst at other people’s homes, or if your own home is carpeted. You may find that you are happy to have baby naked for a few minutes after each wee, or perhaps once you feel confident of recognising their signals. Different kinds of coverings heighten or weaken both parents and babies’ awareness of their bodily functions. In order of increasing awareness, these are: disposable nappies; cloth nappies; (cloth) training pants; normal underwear; and naked. Sometimes parents will find that having baby in pants or naked provides them with the extra motivation they need to “tune in”. At other times, its more important to relax without worrying about misses. Cloth training pants, are a great option for an older baby as they are easy to pull up and down, retain the ‘wet’ feel, yet still (mostly) contain wee and poo. They have to be changed immediately to prevent wee leaking onto clothes. I’ve read that early potty training is psychologically damaging. How does that fit in with BLPT? Any practice that is coercive, or tries to push a baby before they are developmentally ready is potentially psychologically damaging. Whatever you do with your baby, you need to apply your normal, common sense rules of parenting. Parents should not put a theory above their own knowledge of their child. The method described here isn’t coercive, because the aim is not to push baby to do something against their will or before they are ready. In fact, BLPT does the opposite. Because it focusses on the communication, not the catch, it enhances the bond between parent and baby. Baby-led potty training is all about listening to, and respecting your baby, not a battle of wills and coercive training. How often do babies poo and wee? All babies are different. Anecdotal evidence suggests that babies practising BLPT tend to poo less often more quickly – e.g. once a day. They are also more likely to have larger less frequent wees at a younger age, as they are using their urinary tract muscles. However, all newborn babies wee a lot – perhaps twenty or more times a day. It is unrealistic to expect to catch them all! Babies and toddlers tend to wee more frequently in the morning, especially in the first hour or two after waking. Yes and no. It’s a different type of work to changing nappies. It does make you more aware of your baby, which could be considered more work. 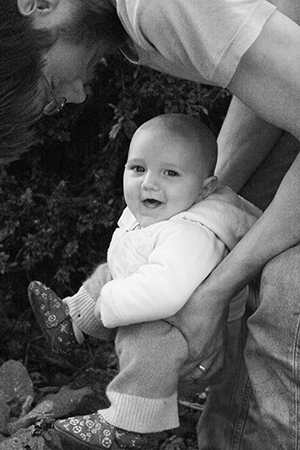 You are likely to have to “potty” your baby more often than you change her nappy – perhaps twice as often. But in terms of minutes per day, there isn’t much in it. Pottying is fast and easy compared to nappy changes. No scraping poo out of crevices! BLPT saves time in other ways, if you factor in time spent buying disposables/ dealing with pooey washables. And if your baby potty trains (or ‘graduates’) sooner than she would have done, it is potentially a saving of months or even years of nappy changes. It is not so convenient, but it is far more satisfying and pleasant. Do I have to watch my baby all the time? No. Firstly, you don’t have to practise BLPT all the time. At times when you are practising BLPT, you do need to be aware, or at least open to their signals. (In the same way that you need to be aware that they are hungry or tired.) Some babies signal more audibly than others; you will get a feel for how closely you have to be aware of baby. Babywearing is an easy way to keep alert, while getting on with other things. Babies often signal more clearly in the sling – crying and kicking, and tend to hold on for longer too. Will I get covered in poo? Possibly, but probably less often than if you use nappies conventionally! Parents who don’t do BLPT often report blow outs and leaks. BLPT babies are less likely to take you by surprise. It’s easy to aim a baby’s bottom away from you if you know they are about to poo and you are holding them in position. It’s is surprisingly clean and easy to do. Can Dads and grandparents do it? Of course! It can be a wonderful bonding experience for Dad, who can sometimes feel left out. Can I do it part time? Yes! You can do it part time or even just occasionally. It’s best to start small, and see how you get on. Perhaps offer the potty just at change times, or when bathing baby, or when you go to the loo yourself. Or you could devote a few hours a week to observing baby and responding to his signals. Any amount of BLPT you do will help baby to learn about the potty, and help keep him aware of his bodily functions, making the eventual transition to toilet independence smoother. Every catch, even if it’s once a week, will reduce laundry, save on disposables or reduce the chance of nappy rash and infections. Parents sometimes wonder if it will be confusing for babies if they are offered the potty part time, or only with one particular caregiver. Babies are remarkably good at adapting to different circumstances. You may need to commit a certain amount of time at the start to establish the asociation, but once baby has that, you will be able to try out for yourself how often to offer the potty in your family. What if I’m going back to work? You can still do BLPT during maternity leave. If you go back to full time nappies afterwards, you have still gained a wonderful experience. Remember, it’s worth doing for the gains you get on a day to day basis, even your baby doesn’t “potty train” any sooner. It is also possible to find caregivers who will help you to practise BLPT with your baby, especially if you explain how it works. Caregivers may find it easier to offer the potty at set times, until they can read baby’s signals. Or alternatively you can just do BLPT on the days you look after baby. You can think of it like breastfeeding. Don’t let your return to work govern how you interact with your baby now. My Doctor says babies don’t have bladder control before 18 months. How can BLPT work? In the West, health professionals generally subscribe to what is known as Brazelton’s “readiness theory” for potty training. In 1962 paediatricic professor T. Berry Brazelton published a paper that recommended waiting until the child initiated toilet training themselves, usually after age 2. Brazelton (rightly) argued that previous methods to train children earlier were often coercive, ineffective and could lead to behavioural problems. His theory has been so widely accepted, that many health professionals don’t realise that babies can, in fact, safely begin non-coercive, or baby-led potty training much earlier. Brazelton did cross-cultural analysis of potty training methods and, in later articles, has himself acknowledged that BLPT (or EC) is both physiologically possible, and also strengthens the parent/baby bond. (Read the article here.) However, he reasserts that it is easier for parents to wait until children initiate potty training themselves, as he believes that BLPT is impractical in our society. He’s entitled to his opinion. He cites the return to work of parents as the biggest obstacle. (Brazelton is from the US, where maternity leave lasts an average 6 weeks.) It is worth noting that Brazelton is a paid spokesperson for Pampers. Spend some time observing your baby naked. When you see her weeing or pooing, make a cue sound, for example “psssssss” or grunting. Talk to her about her bodily functions. If you think you can guess when she is about to go, try holding her over a potty, bowl or the toilet. Be careful to support her head and body. 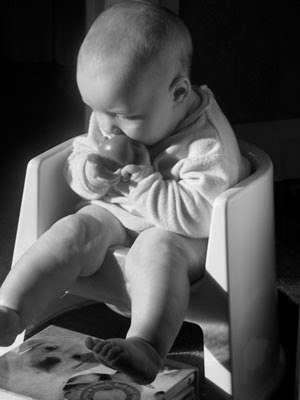 Encourage an older baby to sit on the potty or toilet seat herself. If you are not sure about reading her signals at first, don’t worry. Try holding her over a potty anyway. Good times to try are right after a nap; before, during or after a feed, when you take her out of a sling or reclined position, eg. a car seat or bouncy chair. Or simply offer her an opportunity every time you change her. It only takes a few extra seconds and if she wees, it means her nappy will stay dry for longer – maybe even until the next time you change her. The point in doing this is that you need to establish the connection between the potty (or the way you hold him) and pooing and weeing. Little babies go a lot, so it is relatively easy to catch a few wees and establish a connection. It may take a little longer with a older baby. Some older babies have, in effect, been trained to go in their nappy, so it may take a little bit of time for them to ‘unlearn’ this. Once the connection is established, it means that when you hold her over the potty and she has a full or nearly full bladder/bowel, she will understand that this is the moment to release. It doesn’t mean that she will ‘perform’ every time you make a ‘psss’ sound. The cue may help her relax, but ultimately, she will only go when she needs to. Babies often show a strong preference for the potty. 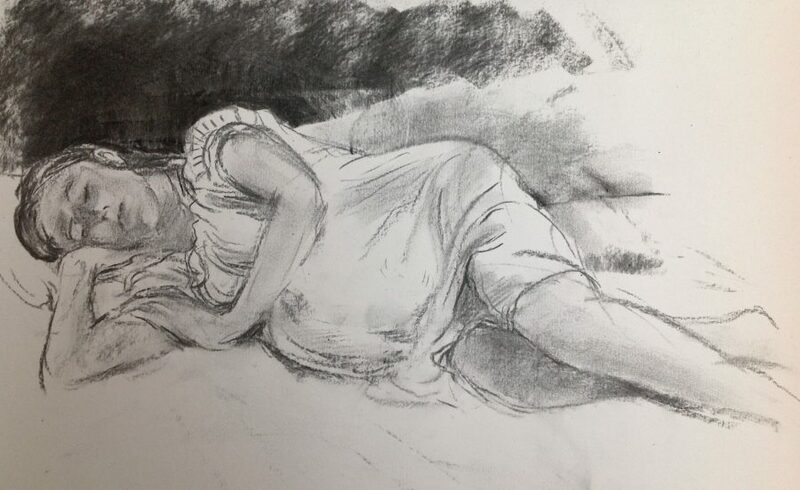 The position is much more comfortable for them as it relaxes the pelvic floor. If you offer her opportunities regularly enough, you’ll probably find that she’ll ‘save’ most of her poos for these times. She will tend to signal more and more strongly. She may even cry out angrily, if she is waiting for you to take her to the potty! The more she practises, the stronger her pelvic floor muscles will get. Also, if she comes to expect that you will offer her the potty when she needs it, she will start to hold on that little bit longer when she needs to go. It may only take a few days for her to be able to hold her bladder for a minute or two. How long do I need to hold him for? With a bit of experimentation, you’ll soon find out how long you need to hold him in position or sit him on the potty. Once baby is used to the technique, you’ll probably be able to tell if he wants to do a wee in, say, 10 seconds. At first, you might need to hold baby for a little longer, but only do it for as long as you are both comfortable. Poos often take longer to come out, sometimes up to 10 minutes, if baby is on solids. You’ll soon be able to recognise when baby wants to poo, and when he is finished going. Always listen to your baby. If he is back-arching or crying or squirming, then he probably doesn’t need to go. Respect that and wait until a bit later. Sometimes babies act like they don’t want to go, even when they have a full bladder. This is especially true if they are going through a developmental stage like learning to crawl, sit, stand or walk. Often you can help them relax with a toy or a song or a beaker of water. Or try using a different place. Babies often prefer to go outside too. But if he is still protesting, then listen to your baby. He may be trying to figure it out for himself. You don’t need any special equipment, but a few things make BLPT easier. Baby-led potty training (BLPT), or Elimination communication (EC), is a respectful, natural way to care for a baby. It can be done with or without nappies. Millions of mothers around the world deal with their babies’ toileting needs in this way. It is a skill that has been forgotten in the West since the advent of disposable nappies. Parents look for signals that baby is uncomfortable, and then offer her a chance to urinate or defecate outside her nappy. They can also simply hold babies out at regular times, such as at nappy change time. Parents normally hold her in a ‘squat’ position, hands underneath the baby’s thighs, with baby’s back and head leaning against the parent’s chest. Or in the crook of the arm. An older baby can sit on a potty or a toilet insert. The baby then urinates or defecates in the potty or lavatory, instead of in their nappy. All babies seem to be born with a reflex that helps them avoid soiling themselves. Parents of newborns often find that their baby wees and poos as soon as they remove the nappy. The change in temperature and /or the squat position triggers this reflex. A parent can capitalise on this reflex by regularly holding the baby in a position that relaxes the pelvic floor with the nappy off. The baby will soon learn to associate the hold and the place (the potty or lavatory) with his bodily functions. And so, what starts as a reflex and some lucky timing, moves into a more conscious act on the part of the baby. Parents often make a ‘psss’ sound, or a grunting noise to help baby make this connection. Baby led potty training can begin at birth, though some cultures wait until the baby can hold their head, or sit on a potty. It is easiest to begin before six months of age. It’s not an all or nothing affair. Although some parents use this method full time, others prefer to go part time, perhaps just a few hours in the morning, for example. Another way is to offer the potty at convenient times, (for example when baby is being changed or bathed, or when the parent is using the loo) and use a nappy in between times. For the purposes of baby led potty training, the type of nappy or underwear parents use on their babies is not as relevant as the way they are used. While parents are practising BLPT (which might be full time, or might be just for an hour), they try to communicate about every wee and poo, which normally means changing a nappy as soon as it is wet or dirty. In the first year, most parents use some kind of nappy system as a back up, and they often find that this is easier if they use cloth nappies, or training pants. It is possible to use disposables, but it is harder to tell when a baby urinates. A mix may be the best option, for example bare-bottomed at home, cloth for out and about, and disposables at night time. 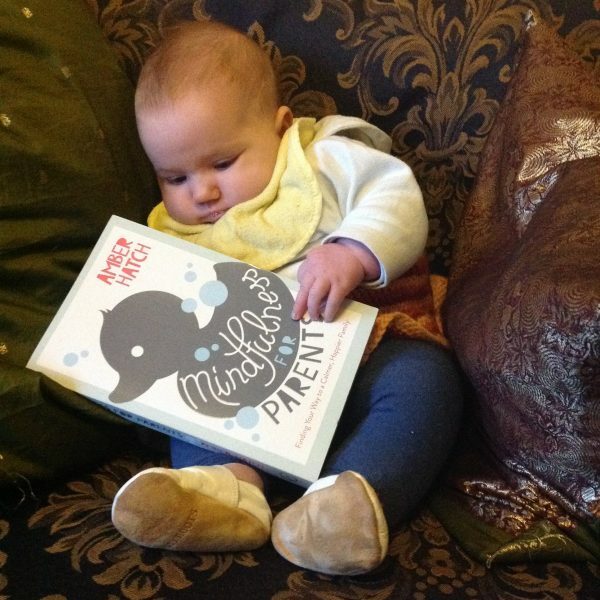 My advance copy of Mindfulness for Parents… published by Watkins and out on Thursday! 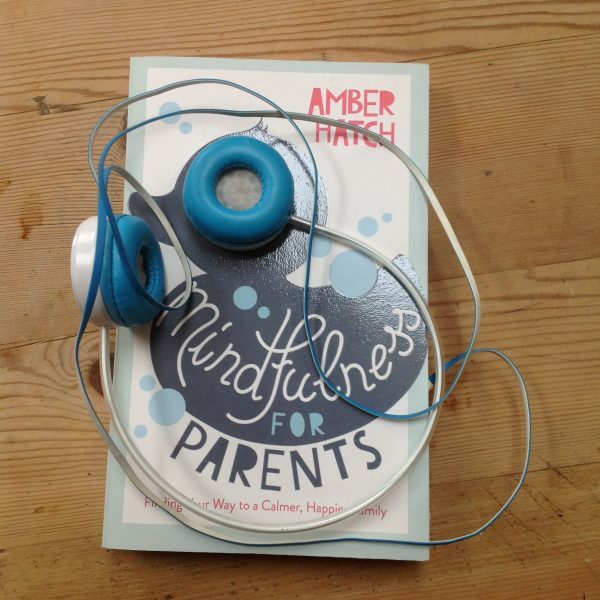 I’m very excited to announce that after a bidding war – the audiobook giant Audible has won the rights to record Mindfulness for Parents. It will be available for download soon – I will update as soon as it becomes available. I’m interested to know – do you prefer reading or listening, and why? Last July I ventured to Bangor University in the furthest corner of Wales to attend a workshop run by pioneering midwife Nancy Bardacke. 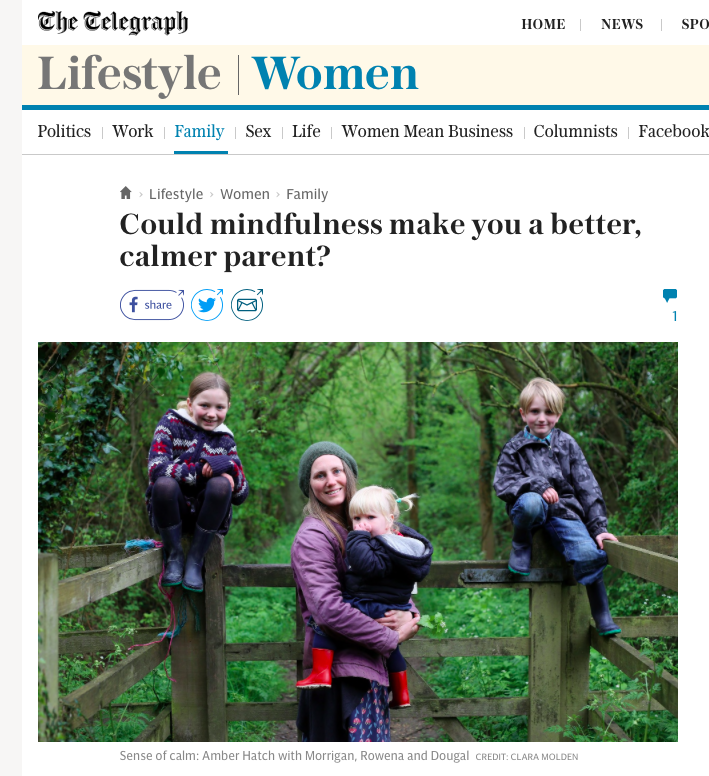 Nancy is the author of Mindful Birthing and devised the 9 week Mindfulness-Based Childbirth and Parenting course (MBCP) which teaches parents-to-be how to use mindfulness as a resource in pregnancy and childbirth. 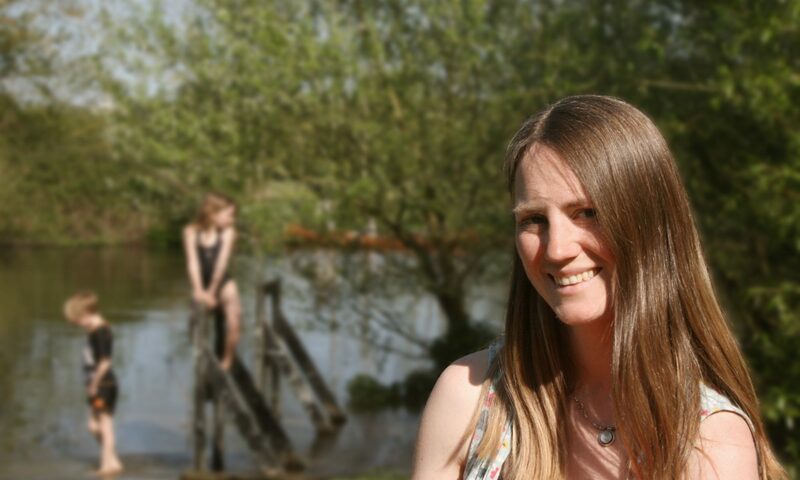 Virtually all of the 30 or so attendees were midwives, health professionals or meditation teachers – I was one of only two pregnant mothers there.